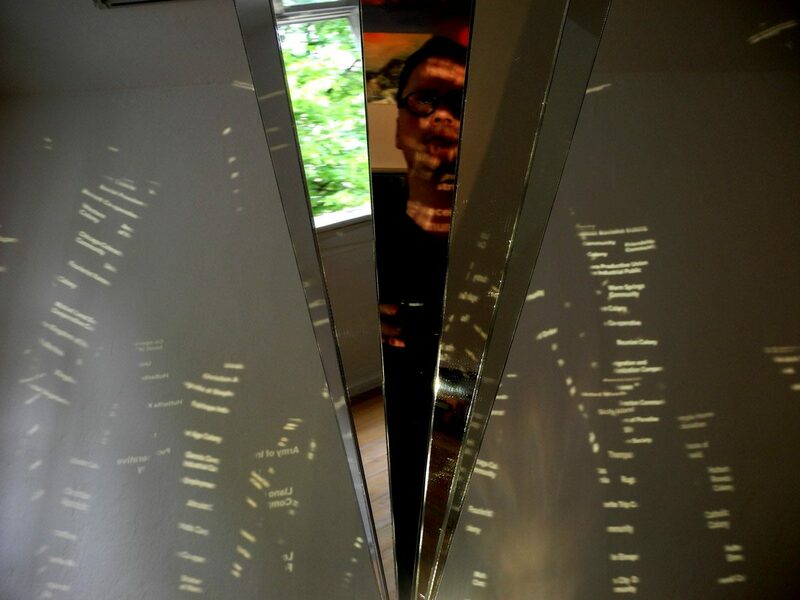 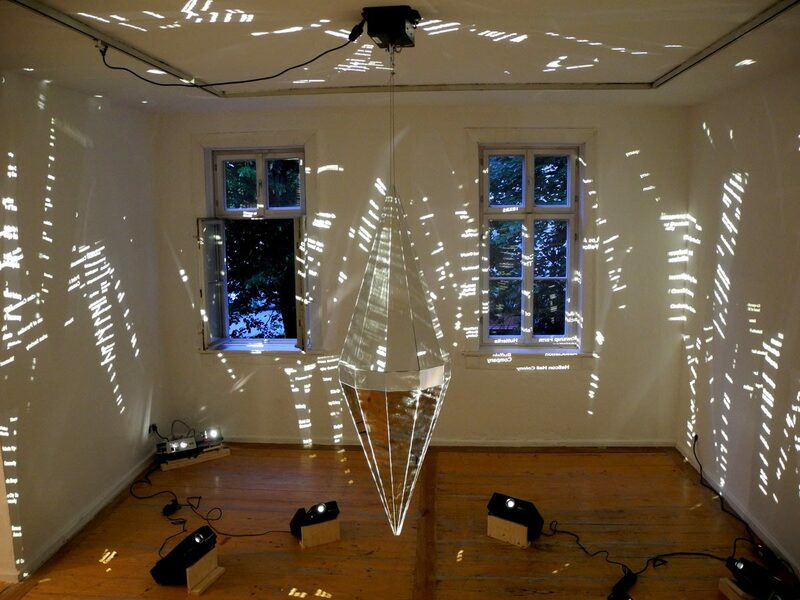 The installation Utopia Generator consists of a diamond-shaped, reflective object, hung from the ceiling, that spins slowly. 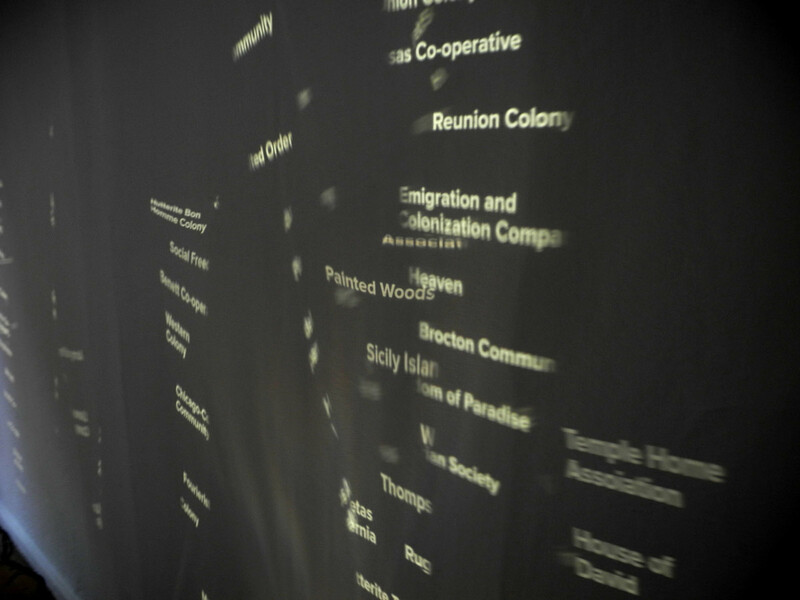 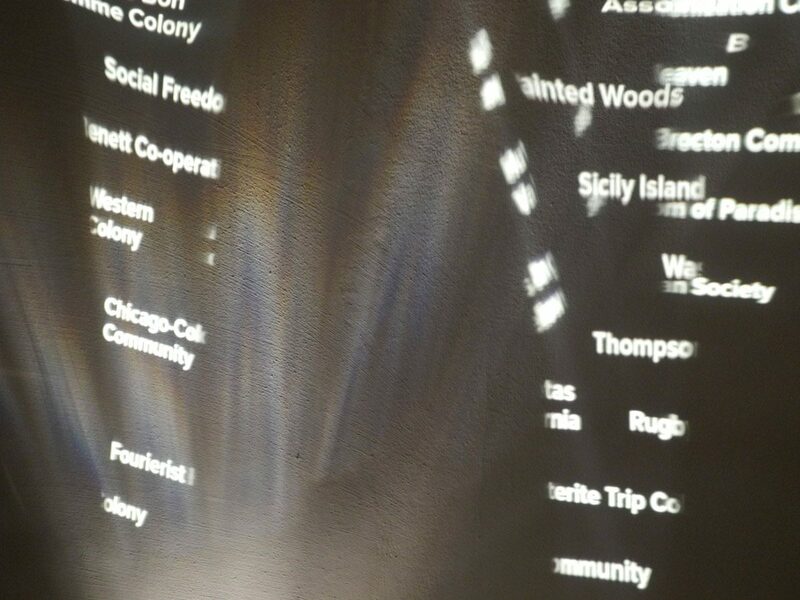 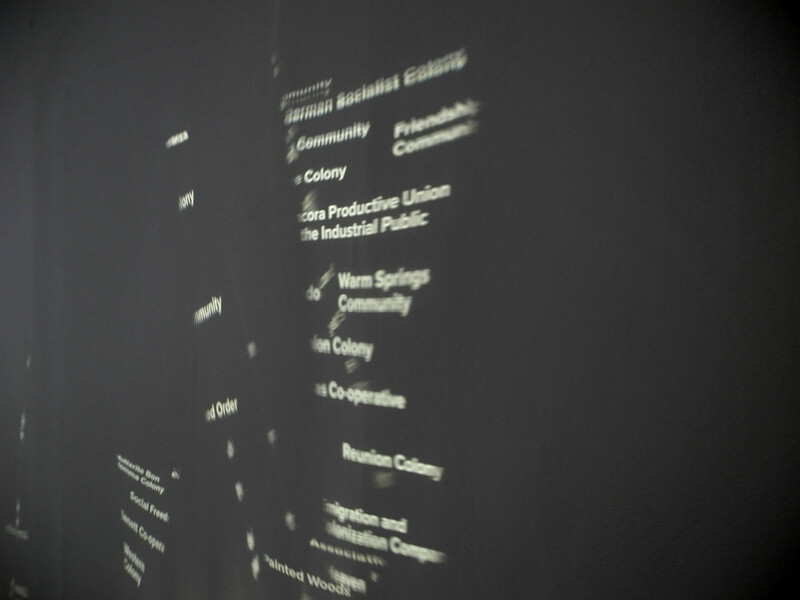 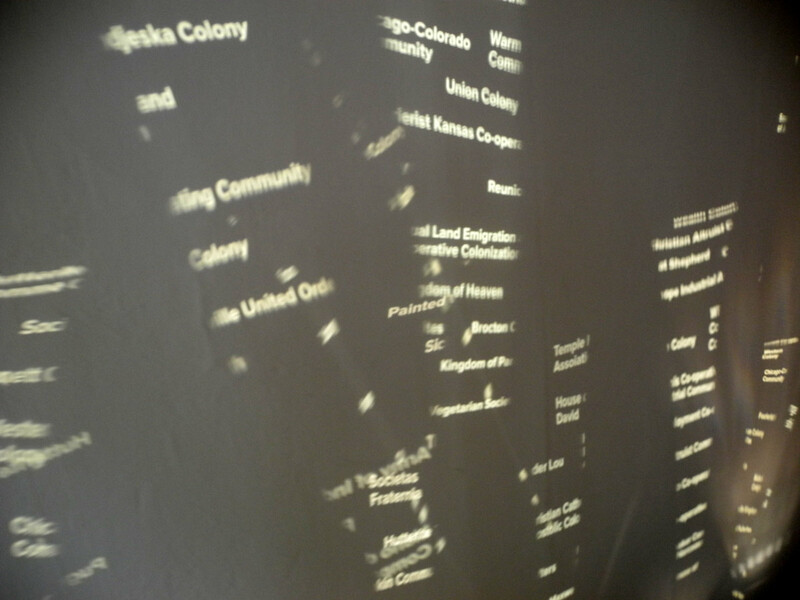 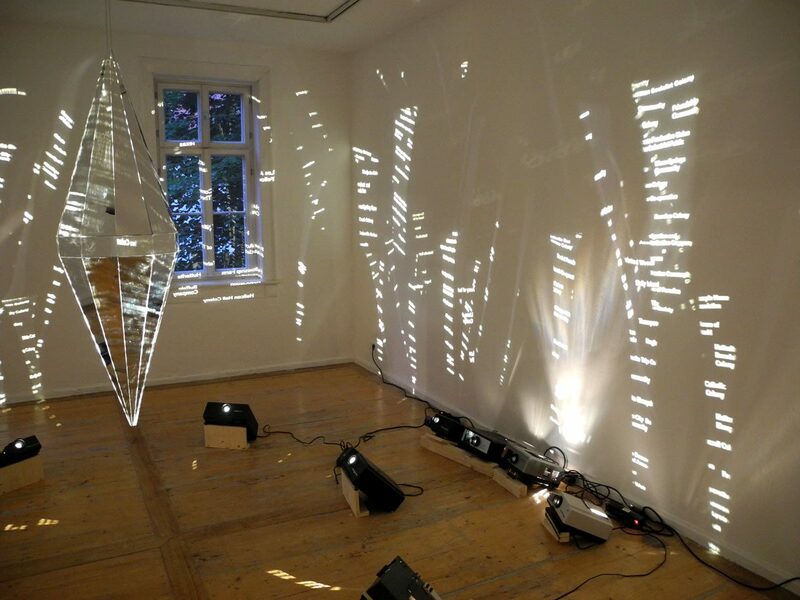 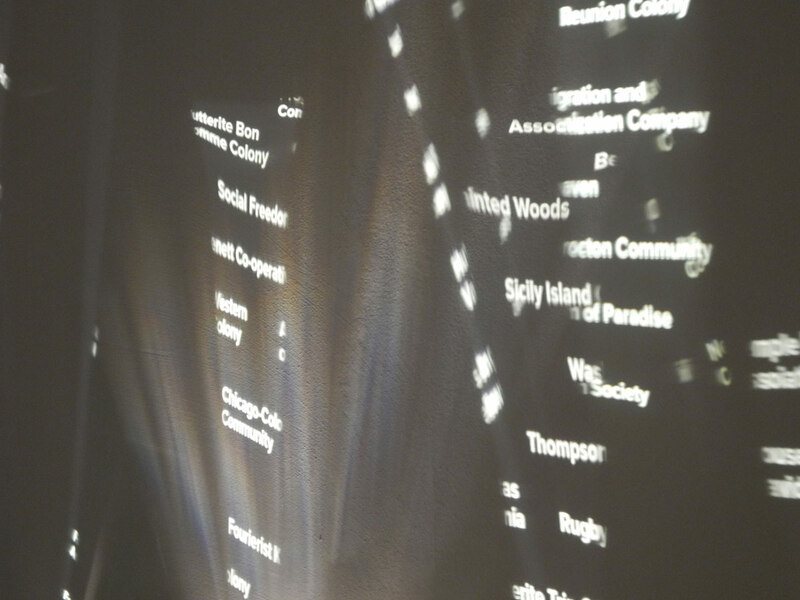 About 20 slide projectors throw names of actual utopian communities, which existed in North America during 1860 to 1920, onto the object, and the generator reflects them back into the room. 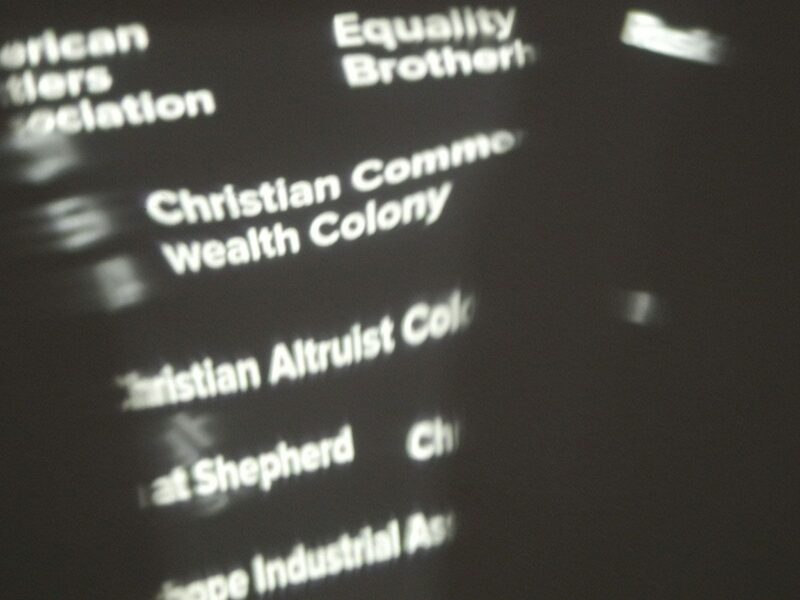 Christians, utopian socialists, Fourierists, Hutterites, utopists and pragmatics used the land-seizure following the eviction and genocide of American Indians, to realize their utopic ideas. 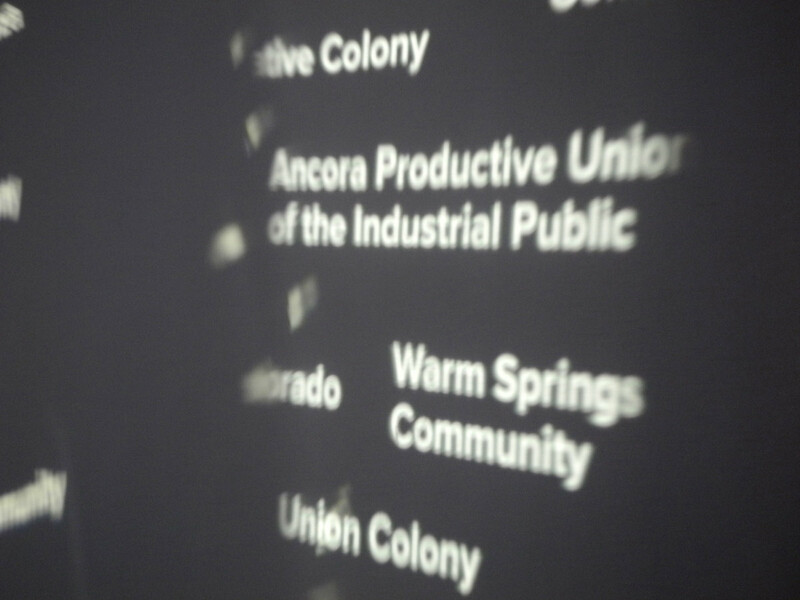 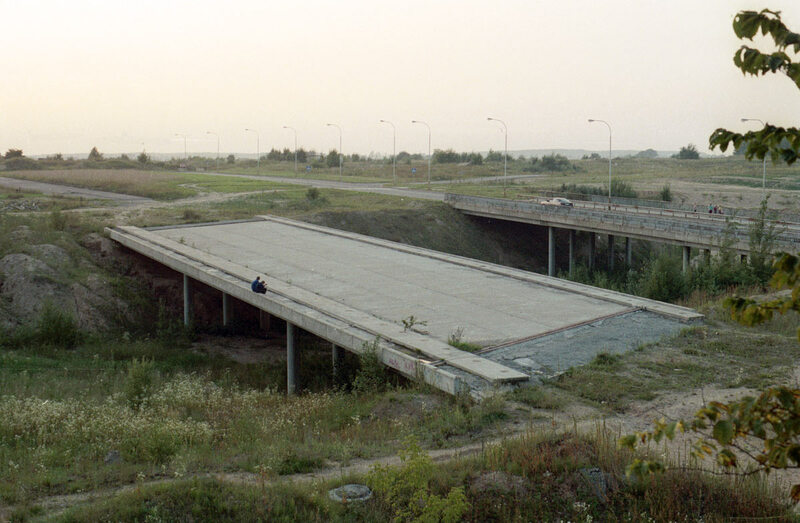 For this period, historian Robert S. Fogarty has accounted for 160 mostly short-lived communities that have been fed into the Utopia Generator.